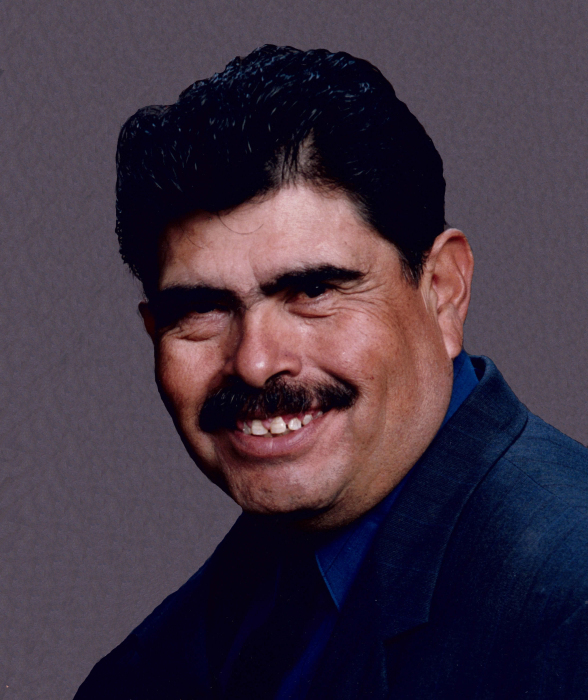 Jose Ramon Barraza, 69, of Arenas Valley entered eternal rest on Wednesday, April 10, 2019 at Gila Regional Medical Center. Visitation will take place on Monday, April 15, 2019 from five to six o’clock in the evening at Baca’s Funeral Chapels with the Prayer Vigil and Rosary following at six o’clock in the evening. Officiating will be Deacon Richard Rodriguez. The Funeral Mass will be on Tuesday, April 16, 2019 at nine-thirty in the morning at Santa Clara Catholic Church. Concluding services and burial will follow at eleven o’clock in the morning at Fort Bayard National Cemetery. Officiating will be Father Robert Becerra. Serving as pallbearers will be James Pas, Sr., Joe Vencil, Jose Roacho, Michael Moreland, Michael Barraza, Marco Barraza. Honorary pallbearers are Randy James Pas, Johnny Ray Palomarez, James Pas Jr., Makaylah Roybal, Brandea Roybal and all his nieces and nephews. Jose was born on April 24, 1949 to Ramon and Ramona Barraza in Santa Maria Del Oro Durango, Mexico. Jose grew up in Mexico until the age of 12 and immigrated with his family to the United States. He attended Snell Middle School and Cobre High School. Jose was drafted to the United States Army on September 22, 1969. He proudly served his country and earned a National Defense Service Medal as an M-14 sharpshooter. Jose quickly climbed the ranks to Sergeant and was honorably discharged on April 20, 1972. He met the love of his life, Gloria on April 7, 1972 and they were married on April 28, 1973. Jose became a United States citizen on June 16, 1984. He attended WNMU as an Art Major and was an amazing artist who loved art. Jose loved spending time in his garden, with his family and was a diehard Denver Broncos fan. He also enjoyed going camping, fishing and hiking with his best friend, Joe Vencil at his side. Jose was loved by many and touched everyone he met. His personality and laughter was contagious, even his animals felt his love! Jose will dearly be missed. Jose is survived by his loving wife, Gloria Barraza of Arenas Valley; mother, Ramona Barraza of Bayard; four sisters, Martha Barraza of Bayard, Bertha Espinosa of Phoenix, AZ, Lupe Escarcega (Jose) of Bayard and Lucy Gurrola (Hector) of Las Cruces; one brother, Marco Barraza (Eva) of Santa Clara; his only uncle Seferino Barraza (Ida) of Arenas Valley; two sister-in-laws, Ernestina Pas of Arenas Valley and Ruth Moreland (Walter) of Santa Clara; mother-in-law, Lupe Pas of Arenas Valley; special nephew/son by heart, James Pas (Annette) of Arenas Valley; special friend, Joe Vencil and comadre, Anita Sapien of Silver City; many nieces and nephews and god children. He was preceded in death by his father, Ramon Barraza; five uncles, three aunts and father-in-law, Alfredo Pas.